SDN promises networks that can be reconfigured and scaled up in line with business requirements. Through centralized management, network operations can be dynamically allocated while lowering costs. When the underlying layer 1 infrastructure is based on Ethernet, then SDN can be implemented using a controller protocol such as OpenFlow and GMPLS. However, in most cases a network’s software control plane ends once traffic reaches fiber layers. 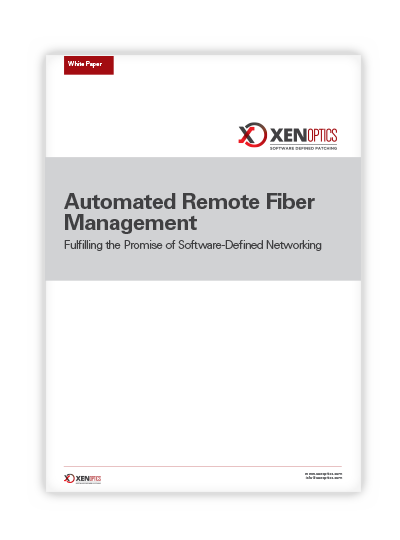 Automated remote fiber management through software-defined patching offers all the performance benefits of manual patching with the flexibility and control of an optical switch to finally deliver on the SDN promise.